Either to create some kind of file search algorithm or to get a list of all the files and folders inside a directory to compress it with zlib, this feature is often searched for Node.js developers (and the number of downloads and dependent packages on some known modules proves it). In this article we are going to show you how to loop recursively through a directory to list all its content with 3 different methods (custom snippets or by using open source modules). If you want to loop recursively through a directory in Node.js, you don't need necessarily a module to achieve it as you can use a very simple recursive function. The following filewalker function will do the trick for you. It expects as first argument a string with the path of the folder that will be recursively explored and as second argument a function (the callback) executed once there are no mores directories inside the providen path. The callback receives 2 arguments, the error as first and the result array that contains all the mixed paths of files and subdirectories. If you only need to ignore all the folders and retrieve only the paths of the files, you can comment easily the line that stores the filepath in the array within the snippet. * Explores recursively a directory and returns all the filepaths and folderpaths in the callback. This solution is perfect if you don't want to rely on a module to achieve something very simple and directly in your code. If your code isn't so simple, then the solution with a single snippet may be not enough for you due to the complexity of your code. In this case, you can use the readdirp module, yes readdirp not readdir. readdirp is a very useful module that exposes a recursive version of the readdir function available in the filesystem module of Node.js, besides it exposes a stream api. Basically you only need to provide the root property that indicates which directory will be explored. For more information, please visit the repository of the module in Github here. Originally, a lot of developers used to rely on the wrench module (and many still rely on), however it's now officialy deprecated and we love to promote standards, you should not use it anymore (we do not prohibit it, so feel free to explore the module if you want but think on that's deprecated). The project now recommends to use the fs-extra module, however the module doesn't support the walk() and walkSync() functions anymore (reason why the developers used the wrench module to explore recursively a directory). As the recursive functions aren't available anymore, the fs-extra module recommends to use the klaw module. 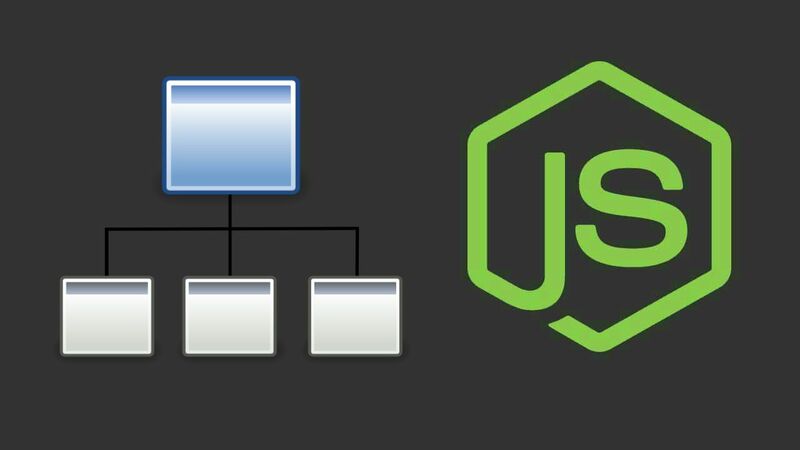 This module exposes an asynchronous Node.js file system walker with a Readable stream interface originally extracted from the fs-extra module. As it's asynchronous, you need to rely on the end callback to do whatever you want with the list of found files and directories in the providen directory. For more information about the asynchronous klaw module, please visit the official repository in Github here. If you need the same functionality but synchronous, you can use the klaw-sync module. klaw-sync is a Node.js recursive file system walker, which is the synchronous counterpart of klaw. It lists all files and directories inside a directory recursively and returns an array of objects that each object has two properties: path and stats. path is the full path of the file or directory and stats is an instance of fs.Stats. For more information about the synchronous klaw module, please visit the official repository in Github here. Klaw stands for walk (but backwards) and it turned out (as of January 25, 2017) for the most cases that klaw and klaw-sync is faster than other modules.